Buy / Stream: http://smarturl.it/wfh007 We are back with a brand new single on World Famous Radio! 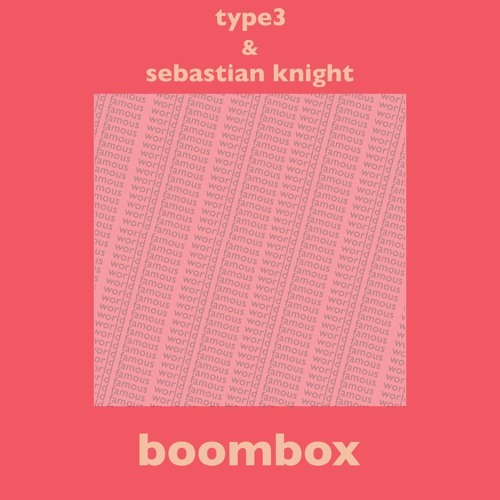 This time we've got Boombox from two young & super talented Las Vegas DJs / producers named @type3 & @itssebastiank. These guys are extremely prolific in the local underground scene in Vegas and have a bright future ahead! Boombox is a dope throwback to the fidget / blog house days that inspired us when we first started out & still inspire us today. Mr. Oizo sounds! Love it. Got my head nodding like Flat Eric!